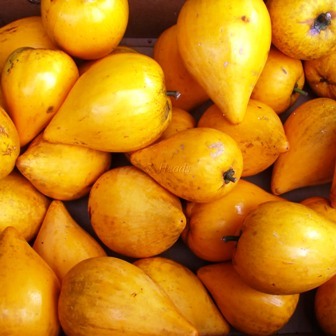 Canistel (Pouteria campechiana) or eggfruit is a lesser known fruit of the American tropics. In India, it is only known and eaten in a few localities and is seldom utilized commercially. 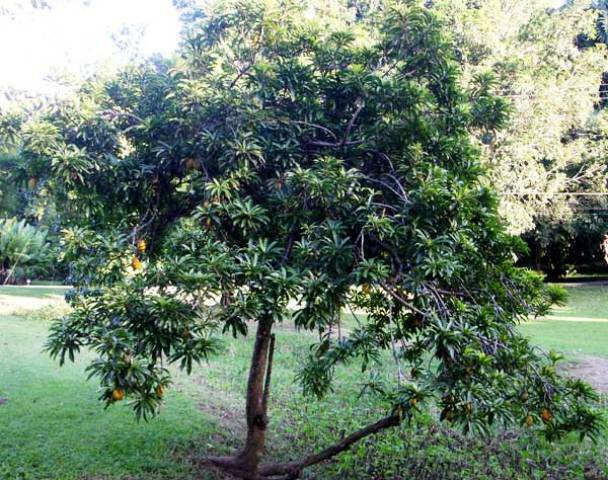 It is an evergreen, small sized tree of the family Sapotaceae. The fruits are about the size of an apple, yellowish to orange in color with somewhat mealy pulp similar in appearance and texture to a cooked egg yolk enclosing often a single large seed. At maturity, the strong odour of the pulp is described as contains about 2,000 iu/100 g carotene, a precursor of vitamin A. It is also a good source of proteins (2.5%) and or vitamin C(43mg/ 100g). 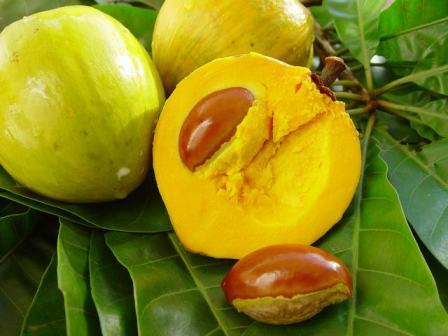 The egg fruit comes up well in tropical and subtropical climate. Moderate rainfall, frost free and dry climate is ideal for its cultivation. It has a wide adaptability for soil, ranging from loose sandy to heavy clays, but loams with good drainage and high organic matter content stimulate better plant growth and yield. The trees of egg fruit sometimes grow even on shallow calcareous soils with minor nutrient deficiencies that are a problem for other fruit trees. Plants can also tolerate to some extent salinity and iron deficiency. Standard varieties are lacking in egg fruit. Trees producing ovoid, spherical and elongated fruits have been recognized. Seedling trees vary considerably in plant habit, size, shape and number of seeds and overall quality. However, in Florida and other places, a few clones worth propagating are known. 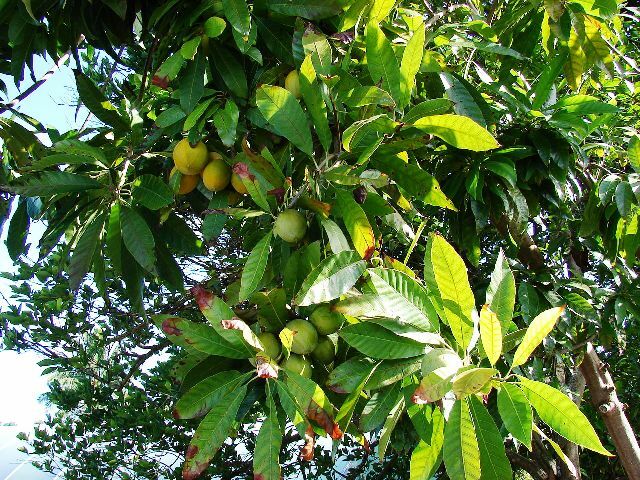 The common practice is to multiply egg fruit from seeds, although the recommendation is to use either grafts or buddlings. Seeds lose viability rapidly and hence after extraction they should be cleaned, dried slightly in the shade and sown in well drained medium comprising top soil and organic material in a 3:1 ratio. Seeds sprout in about 2 weeks and the seedlings should be transplanted to pits or polybags when they have 4-5 leaves. Field planting should be dome after 6-8 months. The most successful grafting techniques are the side veneer grafting and chip or patch budding, which are practiced on vigorous seedlings when the stem diameter is about 1 cm. The scion should come from relatively young wood but should not be too succulent. When the graft is well established with adequate (about 50cm) new growth, transplantation to the permanent site can be taken up. Egg fruit can be planted in square or rectangular pattern. The recommended spacing is 6 m x 6 m to 8 m x 8 m. If irrigation is available, planting can be done at any time of the year; otherwise, it is better to wait until the start of the rainy season. In the early stages of plant growth, mild pruning is necessary to provide the tree a good and strong framework, with several well spaced branches. Ultimately, such pruning produces a well balanced, symmetrical tree with an open canopy. Pruning in subsequent years should be limited to eliminate the malformed, dead or diseased branches. Exact nutrient requirements of egg fruit are not studied. However, the doses recommended for avocado can be adopted. Areas with plenty of well distributed rainfall do not require irrigation. In other places, ring system of irrigation may be resorted to as it economizes on water requirement and the frequency of irrigation may be scheduled depending on soil type and rainfall. To bear fruits, young seedlings may take 3-4years. Egg fruits neither mature at the same time nor give good maturity. The fruits are yellow to orange even when immature but as they mature. Skin texture turns from glossy to dull. 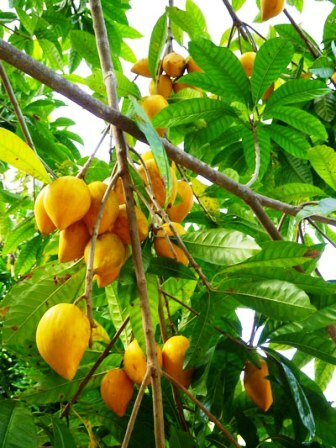 They have to be harvested to ripen completely as the fruits seldom soften on the tree. Fruits should be picked either by hand or by using a pole fitted with a cloth bag for catching the fruits. The epidermis of the fruits is delicate and gets easily ruptured and hence they should be handled gently from the moment they are harvested to the time they reach the consumer. A well maintained grown up tree can yield 300-400 fruits. Fruits ripen is week’s time after harvesting, but ripening is delayed at lower temperatures. Ethylene application induces quick and uniform ripening. Fruits can be eaten fresh either without removing the skin or after peeling and slicing. The pulp when used in the preparation of milk shake imparts attractive color and delicious favour. Once ripened, egg fruits do not store well. But they can be refrigerated for a few days without affecting their quality.